Although the level of academic freedom in Belarus is far from desirable, the country's integration into the European Higher Education Process would greatly benefit a new generation of Belarusians and should be encouraged by European policymakers. On 12 December 2011 the Bologna Working Group reviewed the application of the Ministry of Education of Belarus to join the European Higher Education Area (the Bologna Process). The group will announce its opinion during the Ministerial Summit of the Bologna Process member states on 26-27 April 2012. If the application is successful, then Belarus may discontinue being the last ‘non-Bologna’ state of Europe. The application has provoked a mixed reaction inside and outside the country. The Belarusian Independent Bologna Committee set up by a group of experts in Minsk emphasized in its report that ‘without complex higher education reforms Belarus’s full membership of the European Higher Education Area will not be effective’. 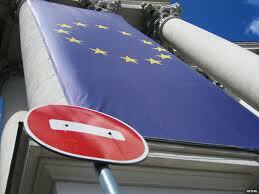 And the European Students’ Union appealed to European states to block the country’s accession to the Bologna Process. The argument that the Belarusian education system falls short of the Bologna standards is undeniable. Moreover, it cannot be brought close to those standards in the existing political realities. However, this should in no way be used as a counter-argument against Belarus’s membership of the European Higher Education Area. The Belarusian path to the Bologna Process has been long and full of contradictions due to politics. At the beginning of the 2000s the Belarusian government introduced a number of novelties to the education system that were supposed to bring it closer to the European Higher Education Area standards. For example, high school education was extended from 11 to 12 years and universities started to award bachelor’s and master’s degrees in addition to the Soviet-style specialist degree. But beginning from 2004 and particularly after the 2006 presidential elections the Bologna-oriented reforms were ‘frozen’. It was a reaction to the growing dissatisfaction with the government’s policies among the youth, which the authorities explained by its ‘Western influence’. As a result, a series of counter-reforms were carried out that reintroduced some Soviet traditions such as 11 year long high school education and 5 year long university education. In September 2011, the new Education Code came into force. Some provisions of the Code clearly contradict the Bologna Process principles. For example, it established the principle of ‘responsible autonomy’ for universities. Essentially, this principle further limits the academic freedoms and autonomy of universities. Interestingly, in parallel with the elaboration of the Education Code the Belarusian government again declared its willingness to join the European Higher Education Area. This month the Belarusian Independent Bologna Committee released a report called 'Belarusian Higher Education: Readiness to the European Higher Education Area Admission' which concluded that the Belarusian higher education system is not ready for the Bologna Process. The authors argued that Belarus needs a comprehensive transformation of its education system to become a generic part of the European education region. They also suggested that the country’s accession to the Bologna Process should take place in three stages and be based on the ‘Road Map for Reforms’. The first stage envisages de-politicizing and the elimination of state control over higher education, in particular the re-installment of transparent and fair elections of university rectors. The second stage focuses on a legal framework reform. And the third stage includes such technical actions as the completion of the academic degree and qualification reform, the completion of the quality assurance system reform, and the establishment of the national system for supporting mobility. There is no doubt that the Belarusian education system needs a fully-fledged reform in the ‘Bologna spirit’ and that the road map suggested by the Belarusian Independent Bologna Committee is essential for that. But it is extremely important that Belarus becomes a member as soon as possible even without such a reform. And here are three core arguments in favor of that. First, applying ‘accession conditionality’ (i.e. membership only after reforms) will simply produce no results. The carrot of the Bologna Process is too small and of no great value for the incumbent government. Moreover, a comprehensive education reform that corresponds to the ‘Bologna spirit’ is inconceivable in Belarus without a reform of the existing political system which may or may not happen soon. Therefore, imposing ‘accession conditionality’ will have no impact on the state of higher education in Belarus. Second, keeping Belarus out because of its politicized education system will only have adverse effects. It will further isolate the country and Belarusians from the rest of Europe. This would be particularly undesirable because what may be deemed ‘Bologna isolation’ will not hurt the regime, but primarily the younger generation – the future of the country. On the other hand, opening the ‘Bologna door’ for Belarus will facilitate better social exchange and more contact between people. In other words, it will be a new effective channel for transmitting European values to Belarus. Importantly, the potential of this new channel will be much higher than that of the limited number of existing scholarship programs. The recent initiatives, such as the Open Europe Scholarship Scheme specifically designed for Belarusian citizens will do a great job in promoting Europe in Belarus. But the capacity of such initiatives are limited. The number of students who are awarded scholarships and complete full degrees abroad is small. Therefore, letting Belarus in the Bologna Process will expose many more young Belarusians to European values. Third, the Bologna Process will open a new window of opportunities for Belarusian universities. It will enable them to develop cooperation links with leading European universities. International research projects and exchange of experience, staff and students will gradually impact the academic quality of the higher education institutions in Belarus. As a result, the universities will produce better qualified graduates with foreign language skills and a higher degree of understanding how democracy and market economy works. There is still a possibility that hardliners in the Belarusian regime will try to prevent the country's accession to the Bologna Process. But there is a hope that if they fail, young Belarusians will have a chance to experience the benefits of being a part of wider democratic Europe without borders. Yesterday a former Belarusian presidential candidate Ales Mikhalevich found himself on an INTERPOL blacklist. The Polish authorities had briefly detained him in the Warsaw airport before they found out that he was put on the list by Belarusian authorities who had targeted him for his political activities in Belarus. Mikhalevich was released after the intervention of the Polish Ministry of Foreign Affairs. As this digest of recent developments show, Belarusian authorities and the European Union use their respective blacklists to restrict "undesired" individuals. Although Belarusian authorities usually make it easy to exit Belarus, they want to keep certain foreign journalists, NGO activists and politicians out of the country. Inside Belarus, they blacklist undesirable rock groups to prevent them from performing in public and restrict activities of Western NGOs and local opposition activists. The West, on the other hand, imposes travel bans and asset freezes against those whom they see as playing an active role in human rights violations in Belarus. "Blacklisted" Belarusian Reporter could Enter Lithuania. The correspondent of the Belarusian state TV channel ONT Aleksei Mikhalchenko, targeted by the EU visa sanctions, was able to freely enter the territory of Lithuania to take part in the coverage of the meeting of the OSCE foreign ministers in Vilnius. As reported by the Ministry of Foreign Affairs of Lithuania, the journalist received the Lithuanian national visa as an exception. Members of the Norwegian and Danish PEN Centers were not allowed in Belarus. On the night of December 05, in Minsk-2 airport representatives of Norwegian Danish PEN Centers were denied visas. Guests were expected to meet with representatives of the Belarusian Association of Journalists, the Belarusian PEN Centre, the Union of Belarusian Writers, local authors and publishers. “Black list” of musicians works. On November 22, musician Zmitser Vaitsyushkevich’s concert was canceled a few hours before beginning. The concert was to be held in the café Mistral in Minsk. The similar incident occurred with Lyavon Volski in Brest. Belarusian authorities close Friedrich-Ebert-Stiftung. Ministry of Foreign Affairs of Belarus confirmed the closure of the Belarusian branch of Friedrich-Ebert-Stiftung . “We made ​​this decision due to the fact that the Foundation does not fully meet the criteria of constructive engagement with Belarusian authorities”, – said Foreign Ministry spokesman Andrei Savinykh. The Belarusian representative office had worked in Minsk since 1997. National Bolsheviks Detained in Minsk. On December 06, in Minsk, two activists of the National Bolshevik Party – Eugeni Kontush and Vladislav Lobov, were detained. Yauhen Kontush is charged with “disorderly conduct” for alleged spilling a bucket of noodles and scattering leaflets at the entrance of the Belarusian TV and Radio Company on 3 December. Tatiana Gatsura fined for performance against the death penalty. On December 09, the day of her birth, a human rights activist Tatyana Gatsura was punished by a fine equivalent to approximately $80 for participation in an unsanctioned action. On December 6, the mother of many children, Tatiana Gatsura, with her two sons came out into the street with a placard "Mr President, I have four children, who is guaranteeing their right to life?" Tax officers are interested in the Liabedzkas' income. As the leader of the United Civil Party Anatol Liabedzka informed the public, his wife and son have received a notification that they should submit tax declarations. Preventive steps before the coming anniversary of 19 December events. The prosecutor’s office of Leninski district of Minsk has issued an official warning to the ex-presidential candidate Uladzimir Niakliayeu. The politician could be sent into prison, in the event that he intends to continue to violate the rules of conduct set for him, the same rules set for a convicted person. On December 06, Nasta Palazhanka, the “Young Front” deputy head, was asked by police if her place of residence changed. Pickets banned. On December 10, International Human Rights Day, human rights activists applied for holding pickets in several cities in Belarus. The pickets were banned in Brest, Borisov, Vitebsk, Molodechno, Gomel. “11+3” List. Now in prison there are not less than ELEVEN political prisoners: ex-presidential candidates Andrey Sannikov, Nikolay Statkevich; leader of the campaign “European Belarus” Dmitry Bondarenko; Paval Seviarynets; Head of the Human Rights Centre “Viasna” Ales Byalyatsky; youth leaders Zmitser Dashkevich and Eduard Lobov; entrepreneur Mikalai Autukhovich. Anarchists Igor Olinevich, Mikalai Dziadok and Alexander Frantskevich are recognized as political prisoners of the Belarusian regime by human rights defenders at Viasna and BHC. Three more anarchists from Bobrujsk – Yauhen Vaskovich, Pavel Syramalotau and Artiom Prakapenka – are currently under discussion. Foreign Ministry Receives Recommendations of UN Committee Against Torture. The Belarusian foreign ministry has received the recommendations of the UN Committee Against Torture, the ministry's spokesman, Andrey Savinykh, said at a briefing on December 8. In its concluding observations released following the November 11 and 14 meetings of the Committee Against Torture, which saw representatives of the Belarusian government and of rights organizations deliver diametrically opposed reports on the situation in Belarus, the Committee called on the Belarusian government to promptly investigate all reports of torture and ill-treatment of detainees.